The 223 Rem has been around since 1964 and in this time, it has managed to become one of the most popular rounds in the world. 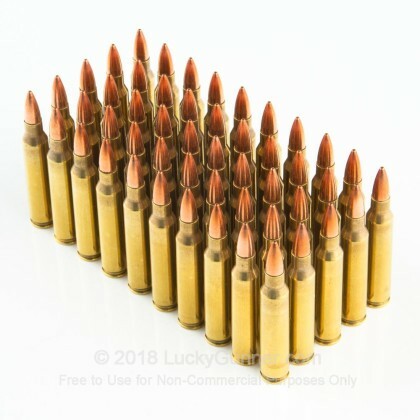 This revolutionary round enables soldiers to carry more ammo than before as well as fire a round with much less recoil. 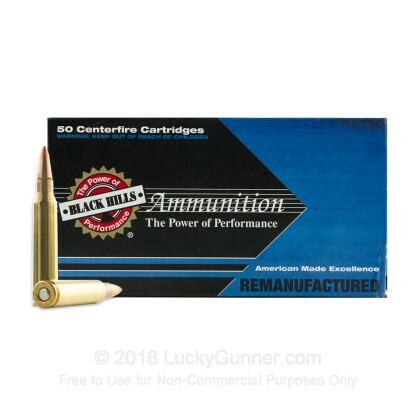 For civilians, this round makes for a great hunting, self defense, and match and range shooting round, giving you just about everything you could ask for. Black Hills has been in business since 1981 and has a reputation for producing very high quality products that are also reliable. They manufacture the match grade ammo that the US Military purchases for their long range shooting competitions. All of BHA's ammo is loaded using premium components in their Rapid City, South Dakota facility. 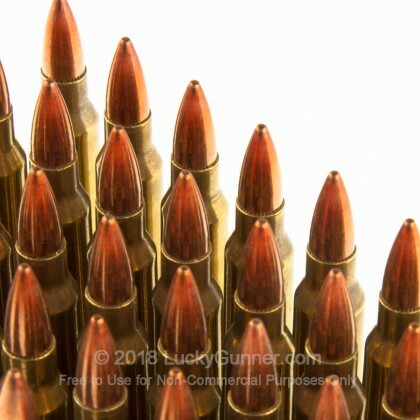 Each round in this case of 1000 features a 55 grain full metal jacket projectile that achieves a muzzle velocity of 3,150 feet per second. Black Hills re-manufactured rounds are a perfect choice for high quality range training without breaking the bank. 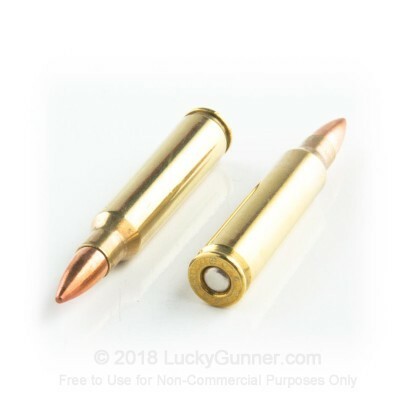 To keep the cost low for high volume shooting, these rounds are loaded into once fired brass casings that are inspected, re-sized and boxer primed. 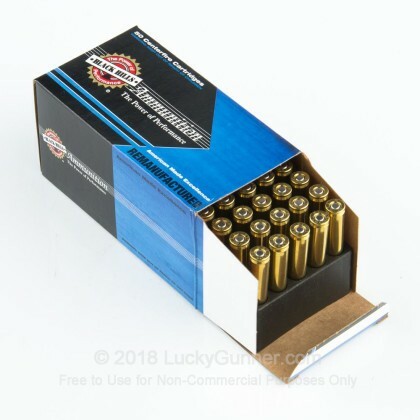 Pick up a couple boxes today and get out to the range soon! 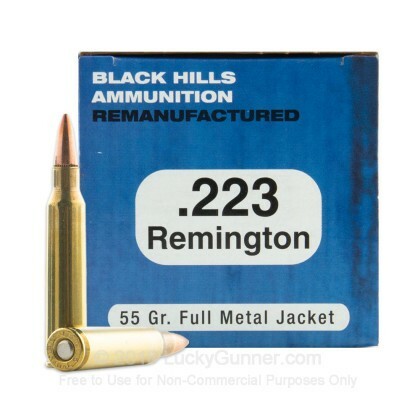 We also have this 223 Rem - 55 Grain FMJ - Black Hills Remanufactured - 50 Rounds ammo in stock in a smaller quantity.